Another one outta' here bound for the middle east. This is one of three natural brushed finish Ti frames that we finished up this week. 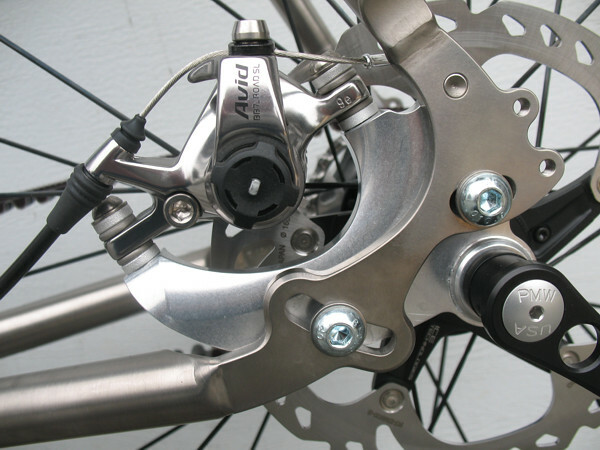 I'm only posting this one since they all look pretty much the same, just different sizes and different dropouts. We just got the word yesterday from our titanium supplier that our material costs have increased significantly, and they may go up quite a bit more soon depending on the outcome of international trade negotiations. At this point, there are two reasons for the cost increases: a) Commodity prices have been gradually increasing over the last few years as the economy has improved and demand has increased. b) Last night, the President instituted a 10% tariff on most of the source material for our titanium frames. That 10% tariff may increase to as much as 25% in the coming weeks or months depending on how negotiations play out. As it turns out, the increase in the imported costs of titanium does not help domestic producers because they are about nine months away from being able to bring additional capacity on line and because their raw material costs are being hit with the same tariffs. It will however make it much more difficult for domestic producers to sell their products overseas as both their costs and other countries' new tariffs will hit them twice. So we'll see how this whole thing plays out. Later today, you will see the real downside for you in all this. 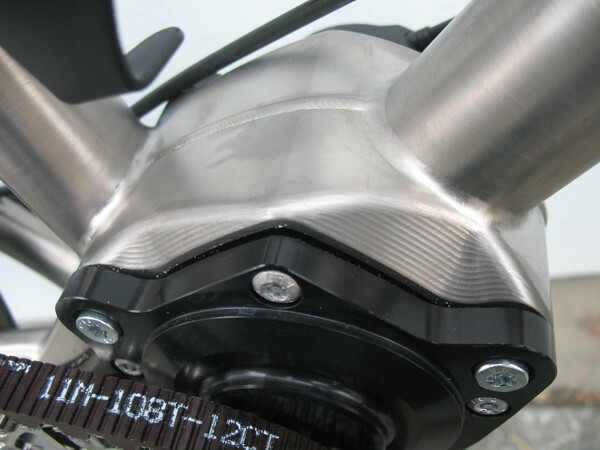 Our web site will reflect the price changes we are forced to make with our titanium frames. We are sorry for the fallout but we have to work with the reality of what is happening. Go ride your bike, it will make you feel much better. Gentleman that you are there is no need to apologize. The price is the price, we all appreciate you revealing why things are changing even though you do not have to. I'll remind everyone to listen well, T.K. speaks to realities of business and nothing more. I posted a bit more in the General Discussion about the Chinese tariffs. Feel free to check that out. Tom do you think this will also lead to a price increase with your steel frames? More seriously Tom I appreciate the straight forward business approach and candor that has to me been a hallmark of your work ever since I first read some of your thoughts on forks, materials etc., years ago. Finally, amortized over the lifetime of a Spectrum ti frame, I'm sure the price increase will still be pennies per mile. That's interesting Tom. Did you ride it? How much of a weight penalty is there? Dang, could make for one heck of a commuter setup. Too big for me ... to even swing a leg over. Weight penalty is a tad less than the Rholoff hub penalty. 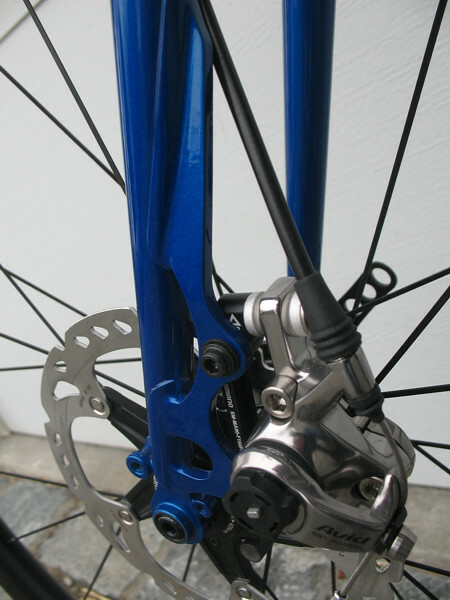 Except that the extra weight is pretty centered, not making the bike tail heavy. 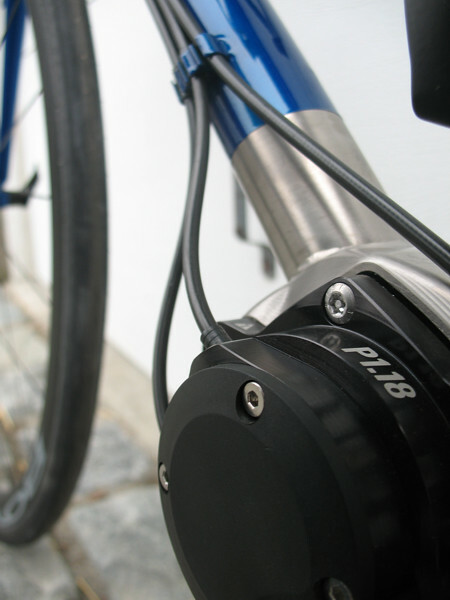 And in fact, this one is a general purpose and commuter bike. Maintenance is once a year gearbox oil change. That's it. Except for a hose-down every once in a while. If I remember correctly you have to stop pedalling to change gears ? 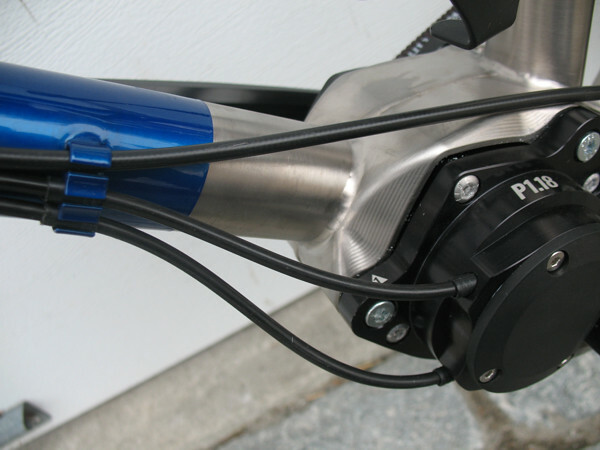 Although it is nice to be able to change gears while stopped at a traffic light without lifting the rear wheel I would find it quite inconvenient for anything else than a DH bike. If I remember correctly you have to stop pedaling to change gears ? 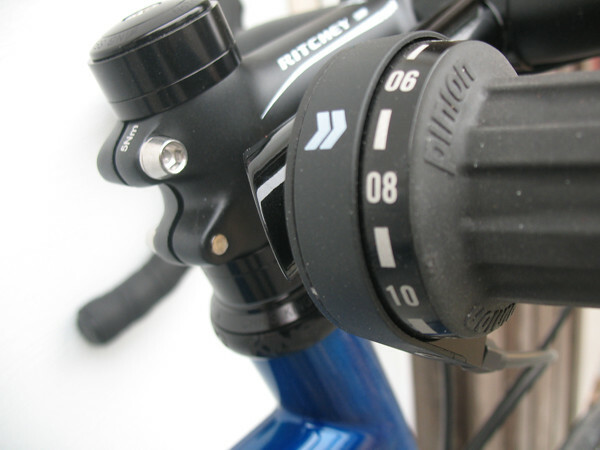 Although it is nice to be able to change gears while stopped at a traffic light without lifting the rear wheel I would find it quite inconvenient for anything else than a DH bike. Actually, not quite. 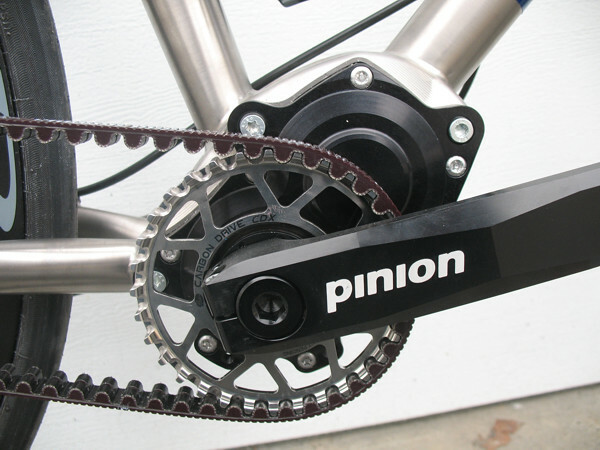 Pinion does recommend that you let up a bit on the pressure for most gear changes, but the lower your gearing the less you need to worry about it. 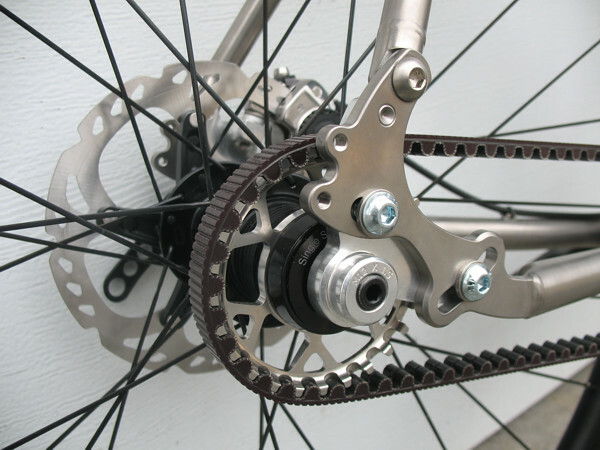 So from about 7th gear on down you don't need to change your shifting habits. Up in the really big gears, you do need to entirely take pressure off (but you can keep pedaling) for the time it take to click the shift. Thanks for the clarification Tom, good to know. Go anywhere, do anything. In style. 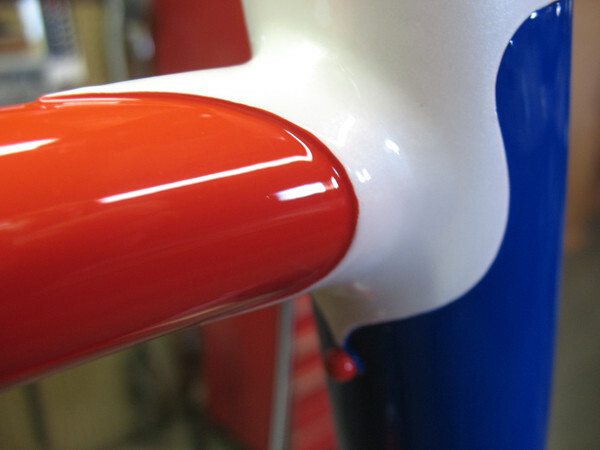 Simple in concept, make a bike that will do pretty much anything this side of track racing. Building it was no big thing. Painting it was a really big thing. It looks like your basic standard paint job to me Mr. Tom. Looks like minimal amounts of cuts, over tape, color changes. Don't know how the heck you cut the inside of the seat stay bevels like that. Was this your idea of painters hell or a customers? Busy looking but very well done. Tip of the hat to you sir. Thanks for the note. Yeah, this was the customer's idea. He loved it when he picked it up last week and it is just what he was picturing. But as you point out, it was "painter's hell." Those seat stay caps were just taped off by hand. No other way of doing it really. And like you, too busy for me. But as they say in this business, custom is custom. And this customer is very happy. Note to self buy stock in painters tape. 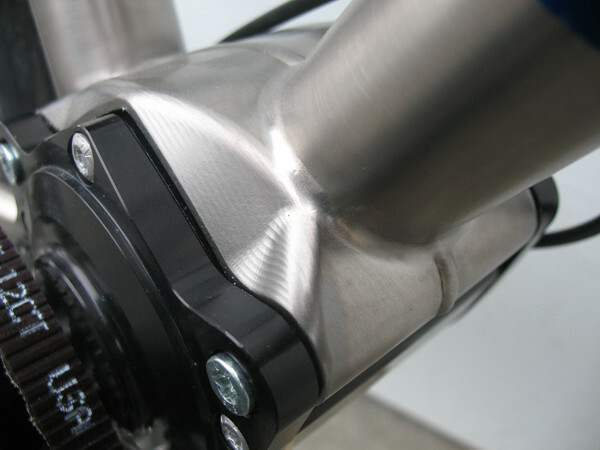 Looks like another example of a lugged oversized headtube. I don't believe many people are doing this. Any problems or considerations with this, or just another day at Spectrum? 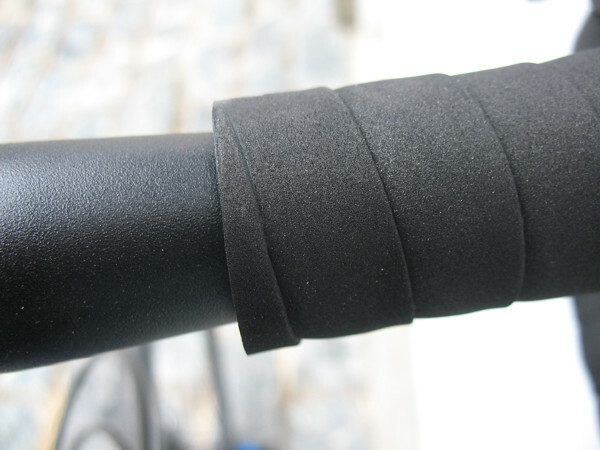 OS lugged head tubes. 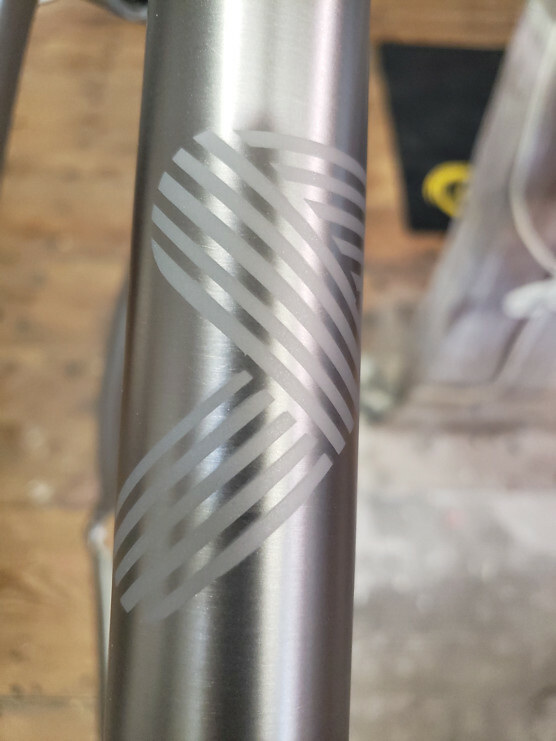 Yeah, no one else is crazy enough to a) figure it all out, b) take the time to make their own OS lugs just to make the frame look nicer and to have a lighter head tube. It does work great, just a lot of work. Kind of what we do here. Thanks for noticing. 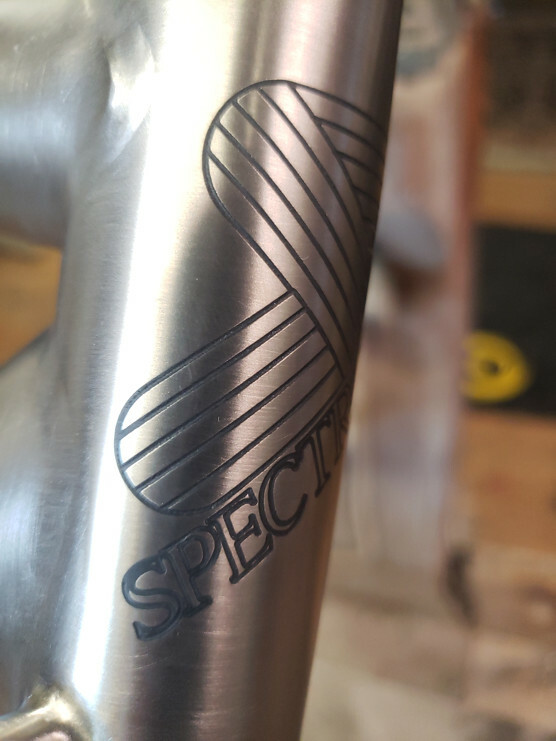 After a combined 80 years of building frames and bicycles, Tom Kellogg and Jeff Duser of Spectrum Cycles have decided to close up shop. 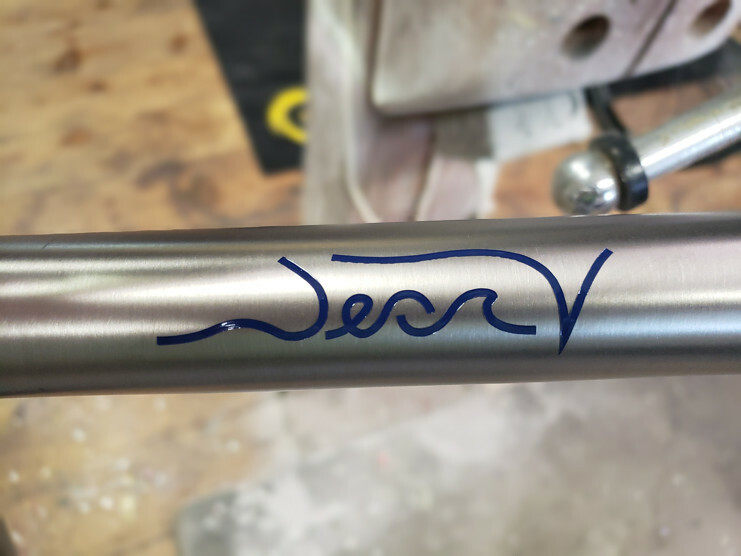 Orders for new bicycles will be taken until July 31st of this year, and once those builds are complete, Tom Kellogg and Jeff Duser are stepping away from their passion of making beautiful bicycles. 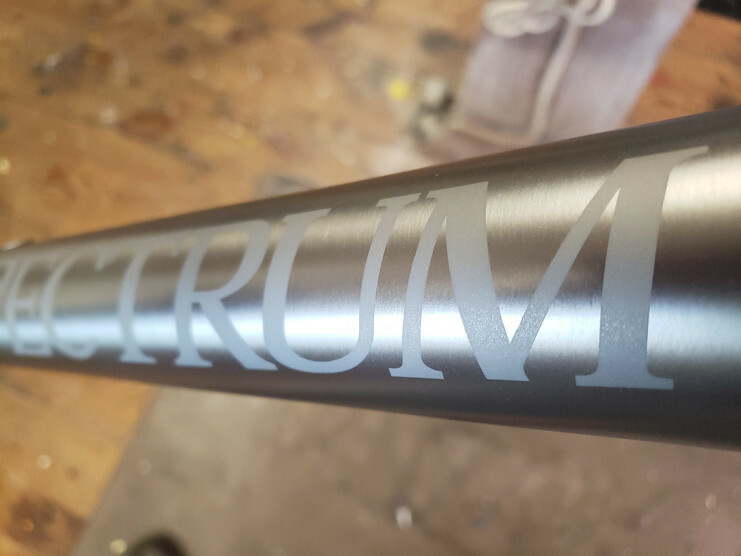 Not one more Spectrum Cycles frame will be built. 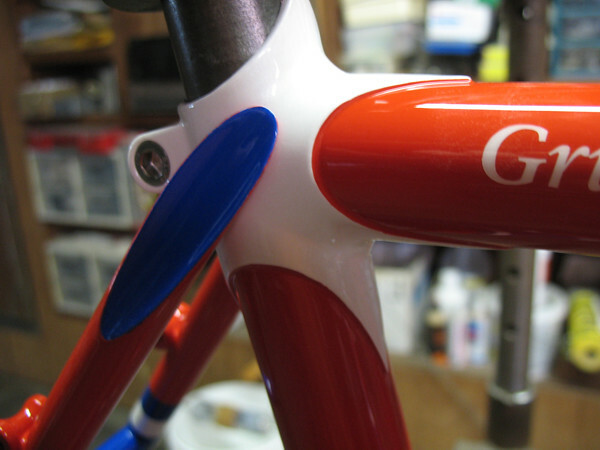 Tom began building bicycles in 1976. Not only is that a lot of experience and a lot of frames, but it is also a lot of time at the bench. We are proud of what we have accomplished over the last four decades and appreciate the countless years of joy that our work has provided for thousands of cyclists. We are honored that so many people have put their trust in us, given us an opportunity to work for them and to make a living doing what we love. It is nearly time for us to walk away from our work. And that is the plan: to walk away from the bench without regret. We won't sell the business. When we hang up the torch, put down our last file and shoot our last coat of clear, we're done. There is now only one chance left to get a new Spectrum frame. 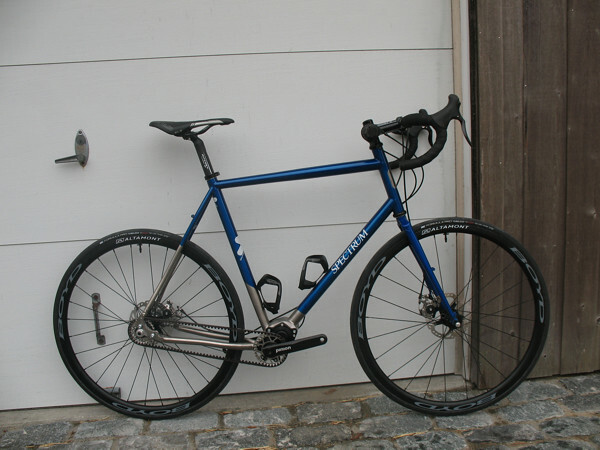 We are taking orders for custom steel and titanium frames for the next five months. We will then close our order book and take as long as we need to complete those orders. We are not limiting the number of orders, but we will not accept any order after July. Don't wait. Time flies. Trust us on that. 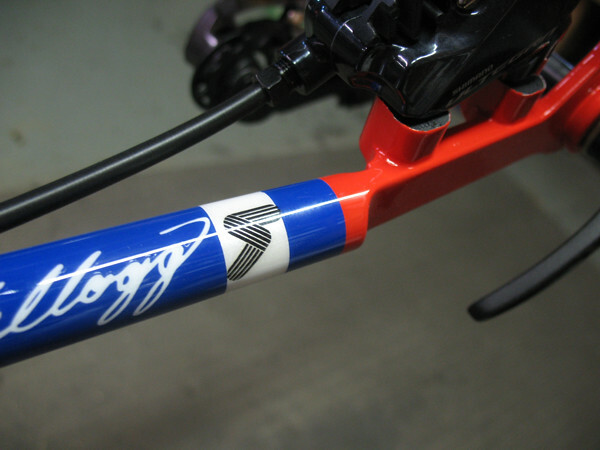 We also have a limited number of '70s frame kits available for builds if you are interested in real mid-'70s steel frames built by folks who cut their teeth in that era. 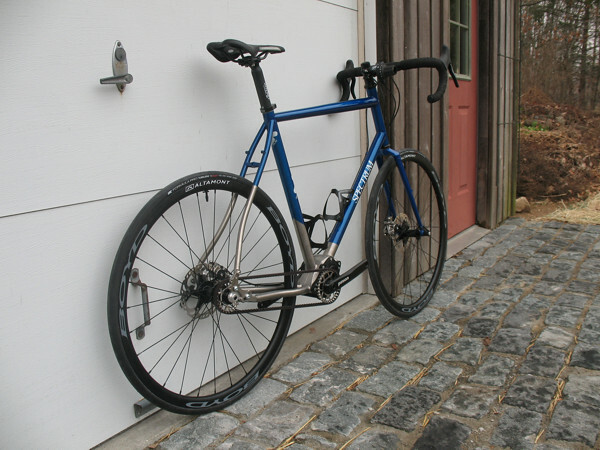 Our modern steel frames are higher-performance bicycles, but the old ones sure do look nice and feel wonderful. No one makes them at our level anymore. 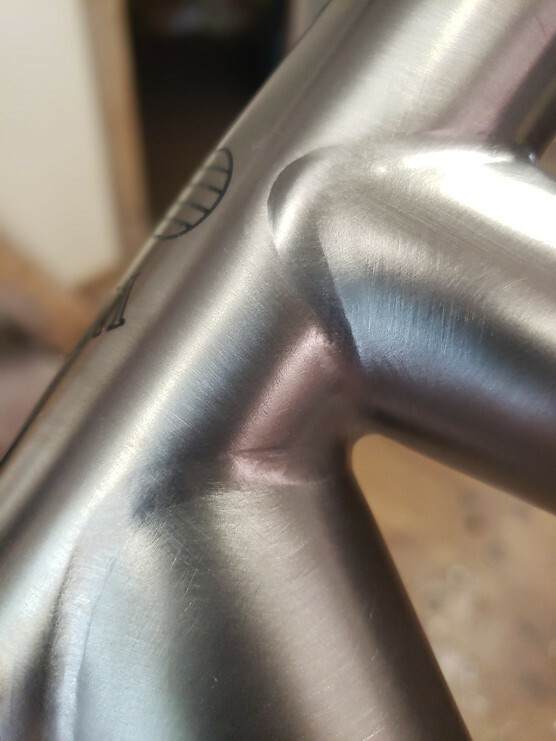 As wonderful as many other modern titanium frames are, Tom has a longer legacy in modern titanium frames than anyone currently building with the material. He has been involved in every one of the modern era's titanium frame advancements and he knows how to make the material sing. If you want one of our bicycles, this is your last chance. Hit our website and after looking things over, download the order form for the last frame we will ever build for you. Last edited by Tom Kellogg; 03-01-2019 at 08:09 AM. Roxann's Ti Spectrum is going on 12 years now and could soon use a refresh. Will you be offering paint services to existing customers in the future, or is July 31st the deadline to schedule that kind of work as well?